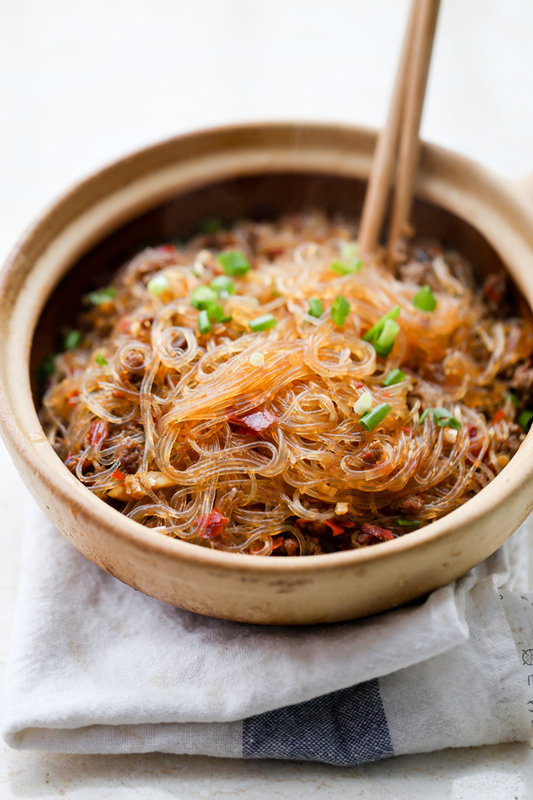 Ants climbing a tree –cellophane noodles stir fried with minced beef (蚂蚁上树) is a famous dish from Sichuan cuisine. The basic ingredient mung bean cellophane noodle (粉丝) is made from mung bean starch. The name can be translated as bean thread noodles. 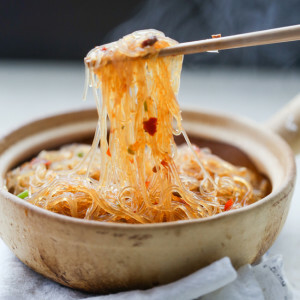 Cellophane noodle is a big group in China and you may find it called as saifun outside China. In addition to this mung bean cellophane noodles, we also have cellophane noodles made from yams like sweet potato cellophane noodle. 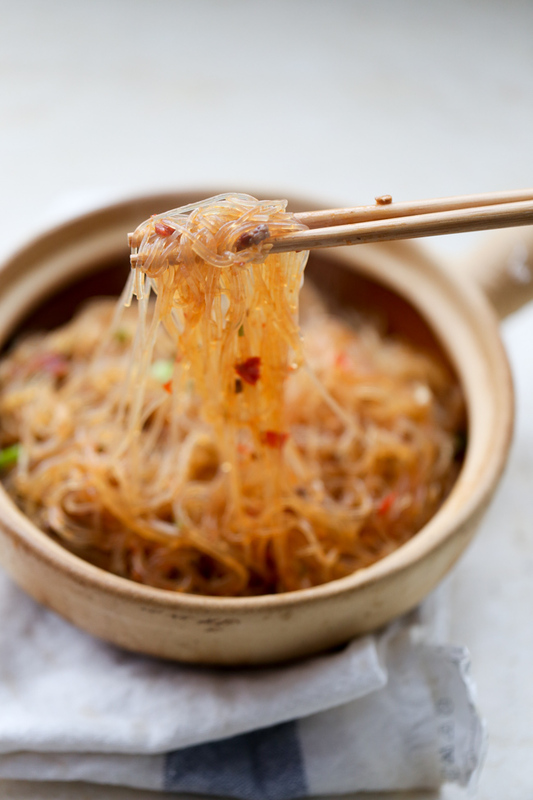 Sometimes, you may find they are named as glass noodles as they will become transparent after cooking. It has finally cooled down in my city and I am quite excited about that after around 6 months of high temperature. So So So, I cook this ants climbing a tree to warm up slightly. 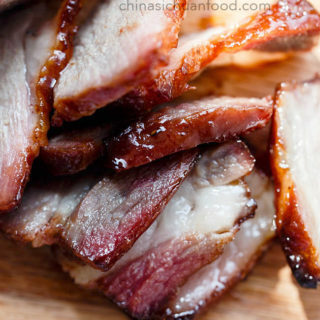 This is a very easy recipe with common ingredients in China. Let’s start with the interesting story about the name.In Guan Hanqing’s Dou E’s Injustice, the heroine’s mother in law was old and sick, lying on bed all the day long. Dou E shouldered the responsibility of taking care of her. Although they were very poor, Dou E still wanted to cook delicious dishes for her mother in law with the wish of helping her recovery. One day, she did not have enough money to buy pork but only for a small piece. 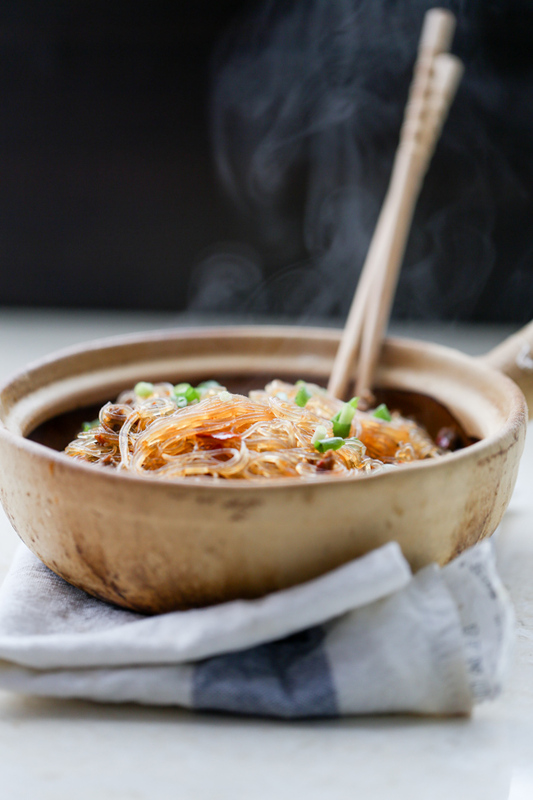 Backing home, Dou E minced the small piece of pork and stir fried with Chinese vermicelli. When serving this dish, the old lady asked why there were so many ants on it. The ants actually were the minced pork. After explanation, the old lady gave the dish a name as Ants climbing a tree. Nowadays, it has become quite popular in restaurants and daily kitchen. Please ignore my claypot, it is just a container. You do not need one to make this dish at home. Marinade the minced beef or pork with pinch of salt. 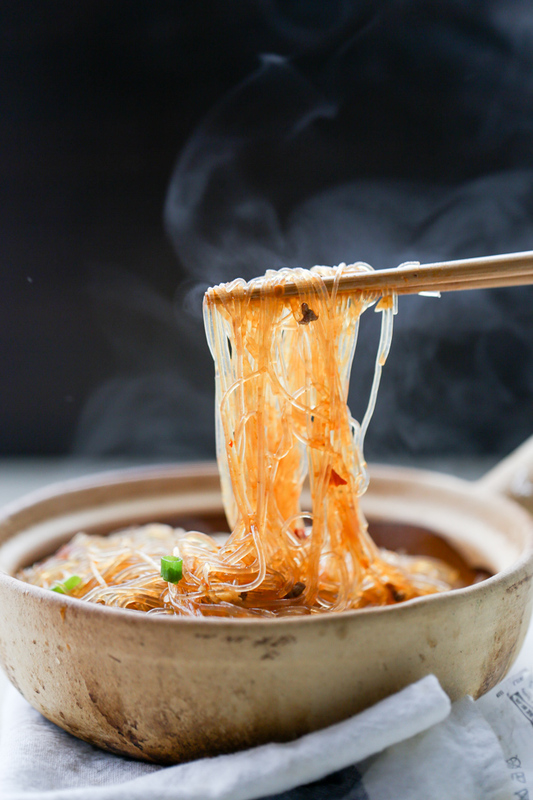 Soak Chinese vermicelli in warm water until soft around 10 minutes Move out and drain. Heat up oil in wok and fry the ground pork until aroma. Transfer out. Add doubanjiang, minced garlic, sliced ginger and chopped shallot in wok and stir-fry over medium fire until the oil becomes red and you can smell the aroma. Return pork and add soy sauce. Mix well. Sprinkle chopped green onions and serve hot. I made this dish for dinner tonight and it was so delicious! 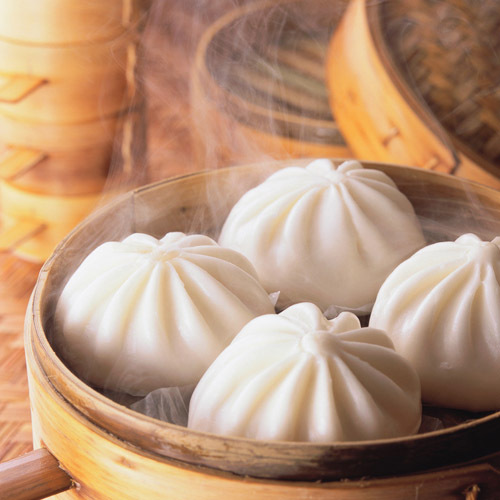 I am Chinese, but where I live there is very few options for authentic and homestyle Chinese food. 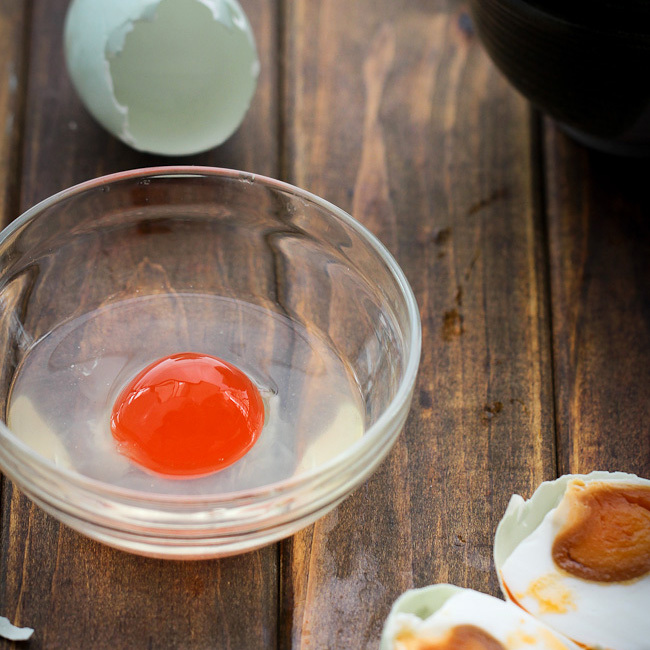 Thanks for blogging – I am very excited to try all of your recipes! Thanks Kat for stopping by and your warm not. I am so glad you love this dish the same as me. I took Chinese cooking classes many years ago from a woman who grew up in Harbin. She made a dish called “braised green onions with 3 meats.” The dish had white meat chicken, pork and shrimp, plus Hoisin sauce and, of course, green onions. Have you heard of such a recipe ? I can’t find it any where. Also, I’ve tried your mapo tofu and your eggplant, potato and green pepper dish. All loved these 2 dishes–thanks! I am quite sorry that I do not think I ever heard or tasted the dish you are referring. Sorry that I did not help. I will keep searching for sure. Elaine! This looks so amazing! That steam coming off of the dish is a great capture! Going to try this dish in the future and will let you know how it goes! Thanks Frances. That day is quite cool so I get the steam recorded. Happy cooking! I really love your recipes. My parents are from China, though I didn’t grow up there and now I’m trying to learn to cook authentic Chinese dishes. I was wondering, would this dish make a good cold dish? Like a salad? That way I could make it beforehand, put it in the fridge, and then take it to a friend’s house. We do have a salad version using vermicelli. 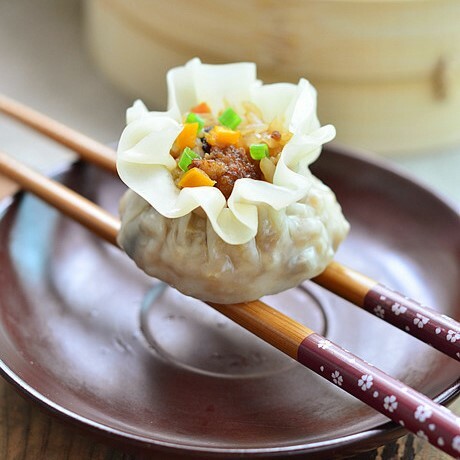 But I am not sure whether this one can be a cold dish as there are fried beef and using Doubanjiang. If you love to make it as a cold version, replace doubanjiang with chili oil, skip fried beef and add some leaves vegetables like spinach or root vegetable like shredded potato. I will make a cold version soon. This happens to many people. We call those ingredients as half live ingredients like coriander, green onion, celery and others. I have a friend who never eat coriander and celery before his twenties, but he is crazy about them now. 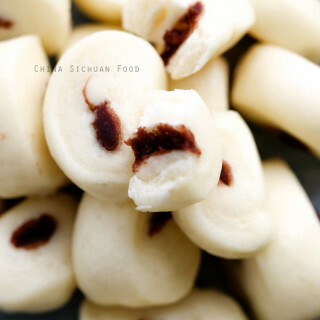 Is Doubanjiang simple chilli bean paste? yes, it is Chinese chili bean paste. Hi, I really love the history about the dishes that you write for the blog. Thank you! Thanks Scott for your lovely feedback. I will bring more interesting history stores along with the recipes. 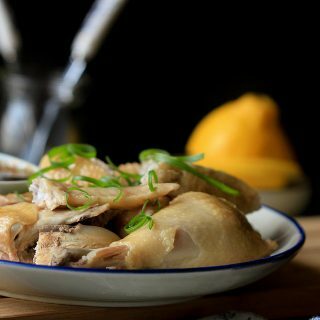 I am so thrilled to have found your blog, I has been looking for authentic Chinese recipes for a long time. I am making this tonight, I can’t wait!!! The pictures are so wonderful on all of your recipes. 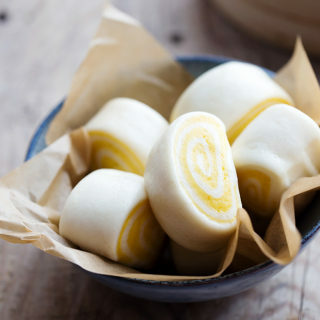 I am wanting to make this but I am having a hard time finding doubanjiang. What would be a good substitute? Doubanjiang is the most essential seasoning. I do not suggest skipping it. 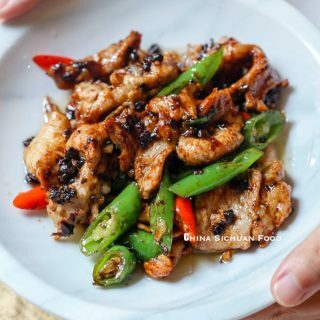 If there is no way to get doubanjiang, you can add more soy sauce but you will end up with another homestyle cellophane stir fry dish. the imitations were. Pixian is the name of a city very famous for the quality of this product. Hello. I havent tried this yet, but I have a question. In the ingredients, it says 2C. water or chicken stock, but no where in the directions does it state when to use this. Please specify! Thank you. It is used in step 4. You are the most welcome, Mai. Soooooo good. Reminds me of ma’s Cooking. I am new to cooking. How long do I soak the noodles for? Around 10 to 15 minutes. My mom is visiting me, and she cooked this very dish, and she told me “Ma yee san su” Apologies for the poor pin ying, as I am not a fluent Mandarin speaker, but it’s wonderful dish. Thank you for sharing this recipe. 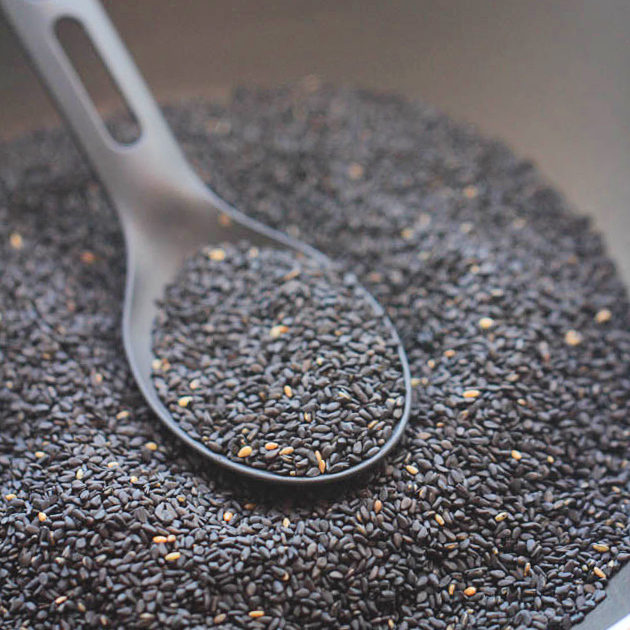 I am now making your black sesame candy tonight. So excited! 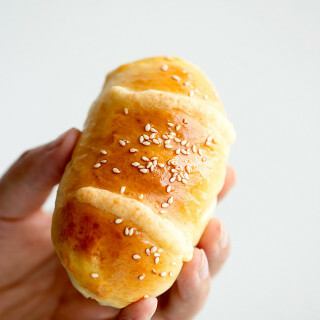 Happy cooking with your sesame candy and thanks so much for giving me such a great comment. Made me a day.